In many ways, the Lee Highway corridor is the last part of Arlington that looks like the rest of the Northern Virginia suburbs. But should it stay that way as the county keeps growing? And if not, how should it change? 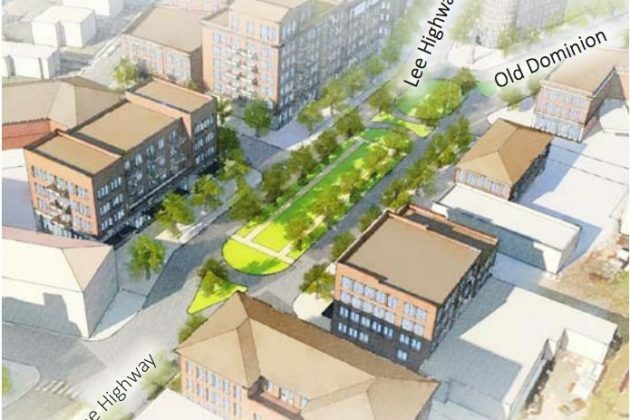 Those are the questions the community and county planners will try to answer as they embark on a years-long planning process for Lee Highway in the coming months. With land-use policies last updated in 1955, Arlington officials have long seen the corridor as ripe for a new round of planning. Now, after years of back-and-forth, the county is set to hire a consulting firm and kick off the process in earnest this fall. Certainly, the question of density along the highway will be among the most contentious issues to be resolved in the planning process. 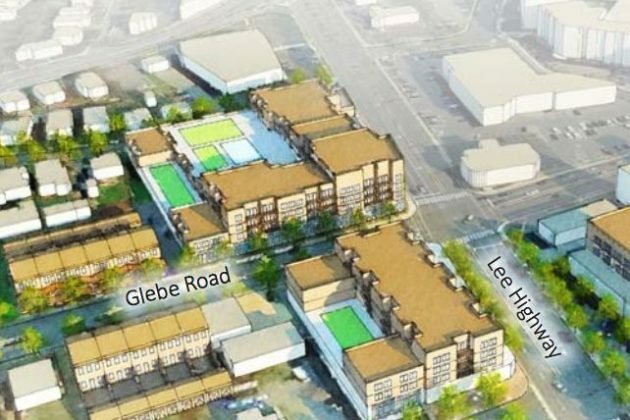 As Vihstadt puts it, “nobody wants to see the Clarendon-ization of Lee Highway,” considering that so many single-family homes sit directly behind the roadway. Michelle Winters, the executive director of the Alliance for Housing Solutions and a board member for the Lee Highway Alliance, isn’t so sure about that. The LHA, a coalition of civic associations and community groups along the corridor, helped spur the start of this new round of planning in the first place, largely out of concern that development was likely coming to the highway and needed to be managed appropriately. Winters reasons that there is room for dense, mixed-use developments along some sections of the highway — she feels it was only the “bad math” guiding the area’s current zoning that prevented the right mix of residential and commercial properties from moving to the corridor in the first place. Natasha Alfonso-Ahmed, a principal planner on the county’s comprehensive planning team, allows that the county won’t know the best way to proceed until the process wraps up, noting that planners are “going to test every possible scenario” for the corridor. But, as Winters suggested, Alfonso-Ahmed expects that certain “nodes” on the highway could be rezoned to allow for more density, perhaps creating more walkable communities on the otherwise car-heavy corridor. 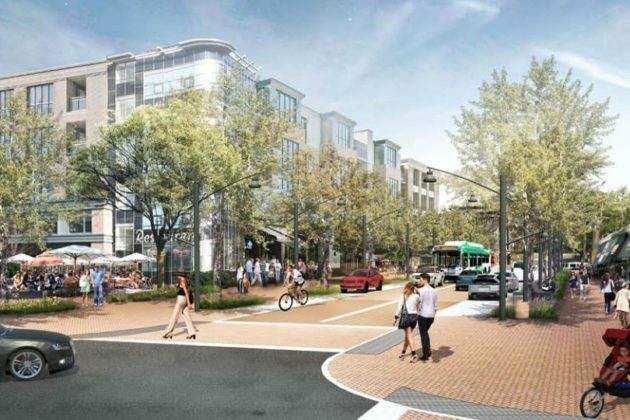 In an initial “visioning study” in 2016, the community identified five such areas that could become home to taller buildings and mixed-use spaces — East Falls Church near the Metro station, the intersection with N. Harrison Street and N. George Mason Drive, the intersection with N. Glebe Road, the Cherrydale neighborhood near N. Quincy Street and Lyon Village near Spout Run. Alfonso-Ahmed believes the county could approach each of those “nodes” differently, allowing more density only where it makes the most sense. But what will become of the existing shopping centers on the highway? As Alfonso-Ahmed points out “it’s not like it’s a blighted corridor,” and is filled with plenty of successful small businesses that the county doesn’t want to lose. That means Arlington officials will need to think critically about what “sort of incentives or tools will be needed for business owners to even entertain” moving, she added. Or perhaps the county could allow for the expansion of those existing commercial areas, which would then bump up into residential neighborhoods. Another possibility that intrigues Vihstadt is the expansion of affordable housing options in the area. County Board Chair Katie Cristol agrees, and suggested one “illustrative example” of a change the county might make is rezoning some areas meant for single-family homes to allow for “by-right duplex development” on the edges of neighborhoods. But, once more, such a change would surely require extensive community engagement to allay concerns about the corridor’s changing character. To that end, Alfonso-Ahmed expects the whole process will take three years in total, with both a large “community forum” and a smaller working group constantly weighing in on the effort and lots of chances for the community to see the county’s work. It should all start “before the end of the year,” she said, once the county can pick a consultant to help guide the effort. Though the Board had to scale back some of the process’s funding, thanks to the county’s constrained finances, Alfonso-Ahmed says planners have everything they need to move forward, and are plenty anxious to do so.